Transcatheter Aortic Valve Replacement (TAVR) is a well-proven procedure for aortic valve replacement in people who are considered as high risk patients for Open Heart Surgery. In this procedure, a new aortic valve is fixed without removing the old, damaged valve with the help of a specialised catheter through a process similar to stenting. A new artificial valve wedges into the place of the older aortic valve. A dedicated Heart Team consisting of Interventional Cardiologist, Cardiac Surgeon, Non-Invasive Cardiologist, Cardiac Radiologist and the Cardiac Anaesthesiologist, first conduct a comprehensive evaluation to determine whether this procedure is an appropriate treatment option for the patient or not. This includes Clinical Examination, Echocardiogram, CT scan and Cardiac Catheterization. 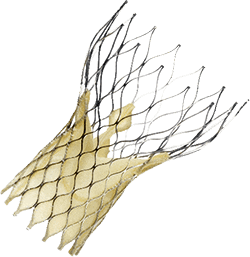 Somewhat similar to a stent placement in an artery, the TAVR approach delivers a fully collapsible replacement valve to the original valve site through a specialised tube-based delivery system (Catheter). It is done by a small puncture in the groin, entering through the Femoral Artery (large artery in the groin), and usually does not require any major cut. The valve is taken through the specialised delivery catheter at the site of the original valve and is deployed there. Once the new valve expands, it pushes the old valve leaflets out of the way and the tissue in the replacement valve takes over the job of regulating blood flow. The small puncture in the groin is finally sealed. HOW DO YOU SUSPECT AORTIC STENOSIS FROM YOUR SYMPTOMS? It's important to note that many people with Aortic Stenosis do not experience noticeable symptoms until the amount of restricted blood flow becomes significantly reduced. Symptoms of Aortic Stenosis may include breathlessness, chest pain, pressure or tightness, fainting (also called Syncope), palpitations or a feeling of heavy, pounding, and noticeable heartbeats. Also, decline in activity level or reduced ability to do normal activities requiring mild exertion. Even sudden death can occur or heart may gradually fail. 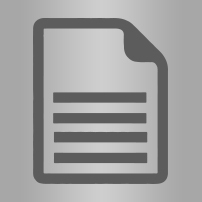 HOW IS TAVR DIFFERENT FROM THE SURGICAL TECHNIQUE OF VALVE REPLACEMENT? It is a minimally invasive interventional (non-surgical) technique performed in a cath lab, like Angioplasty, and does not need the chest to be opened, has low hazards and risks of long hours of general anaesthesia as needed in case of Open Heart Surgery. There is no big scar and the puncture site is sealed off at the end of the procedure. It can even be performed in an awake condition under mild sedation. The hospitalisation is just three to four days and the stay in ICU is just a night for monitoring and recovery after the procedure is done. The person can return back to normal life activities soon after a discharge from the hospital. It has lower risk for the patients who have multiple serious medical or surgical conditions as discussed, that make them risky or unfit for Open Heart Surgery. A small percentage of patients similar to open heart surgical valve replacement, may require permanent pacemaker implantation. WHO IS A GOOD CANDIDATE FOR TAVR? At this time, the procedure is reserved for those people for whom an open heart surgical procedure is a high risk due to medical and surgical conditions like old age, previous heart surgery, severe lung disease, diabetes, kidney failure, dependent on oxygen at home, and severely calcified Aorta (Porcelain Aorta). A person whose previous artificial aortic valve is degenerated can also have a new valve through this technique without a redo open heart surgery. Although relatively new, TAVR is an effective option to treat and improve survival and quality of life in these patients. It is an established and well-proven treatment for severe Aortic Stenosis. 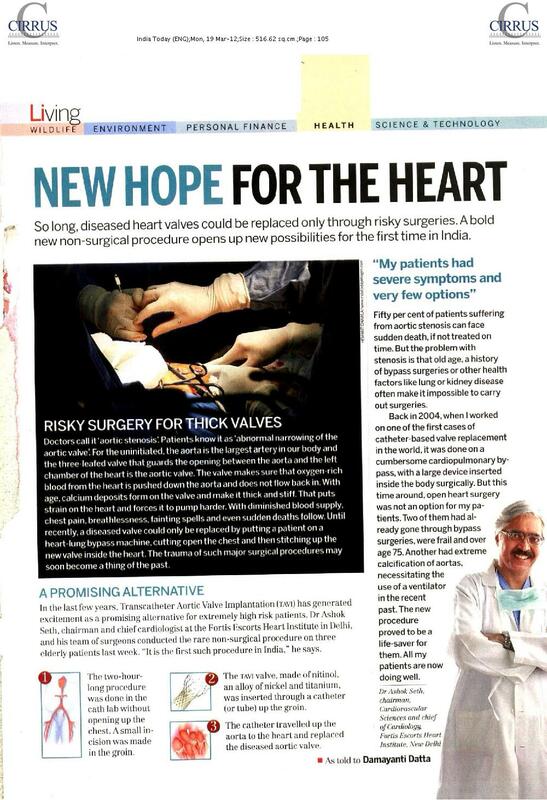 The revolutionary and pathbreaking procedure of "Percutaneous Transcatheter Aortic Valve Implantation (TAVI): a non surgical, without cardiopulmonary bypass, Cath Lab based heart valve replacement procedure" was performed for the first time in the country, by Dr Ashok Seth, Chairman, Fortis Escorts Heart Institute & his team, on three elderly patients with severe calcified Aortic stenosis (severe restriction of opening of the valve between the heart and rest of the body). These patients had severe breathlessness, heart failure, which could have resulted in sudden death. The procedure was life saving for these patients. 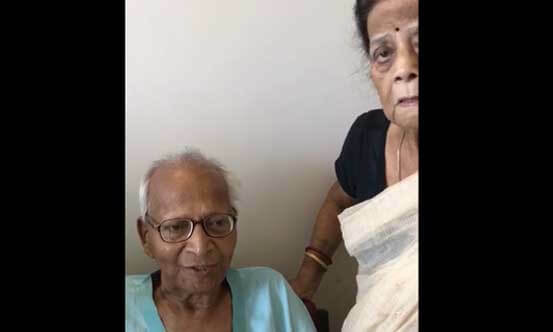 These patients were also extremely high risk for 'Valve Replacement by Surgery which involved opening up of chest and heart and putting patients on cardiopulmonary bypass' as two of them had already undergone previous bypass surgery, were more than 75 years of age, were frail and one lady also had extreme calcification of aortas because of which she could not have a surgical valve replacement. Because of her Severe Aortic Valve stenosis, she had been in severe heart failure necessitating even ventilator in recent past. All three patients for whom this was as life saving procedure have recovered well and walking. The Valve implantation was performed in the Cath Lab (not the surgical theatre), through the groin in an angioplasty like procedure without opening the chest or putting the patient on bypass. The patients were up and about the next day and talking & eating normally. Each procedure took approximately 2-hours to perform. 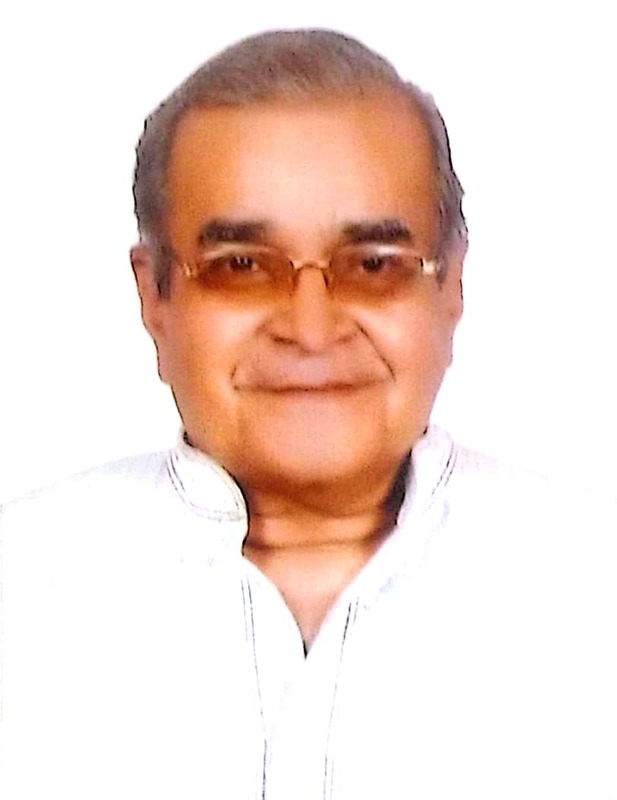 Dr Ashok Seth was involved in the very early stage of development of catheter based valve replacement procedure when he performed one of first cases in the World in 2004 when the procedure was performed on a cardiopulmonary bypass with a very large device which had to be inserted surgically. Aortic stenosis is a life threatening disease of the valves which specifically increases with age and effects the elderly. Surgical valve replacement on cardiopulmonary bypass of these patients can be very high risk because of age and other risk factors like lung disease, kidney disease and previous bypass surgeries etc. It not treated 50% of the patients can die within 1-year. This procedure would be a boon for such patients to be able to save their lives and continue to live through a relatively safe 'non-surgical TAVI procedure'. 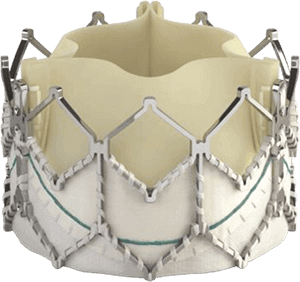 The non-surgical aortic valve replacement was performed using the COREVALVE Revalving System. 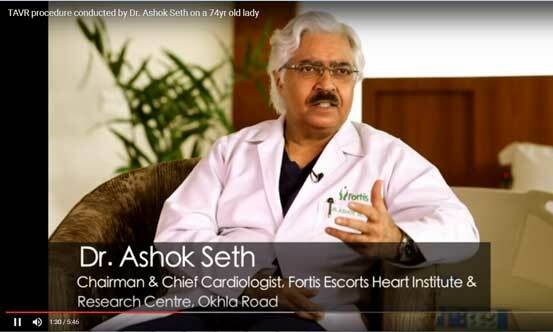 Dr. Ashok Seth is the current Chairman of Fortis Escorts Heart Institute, New Delhi and Head of the Cardiology Council of Fortis Group of Hospitals. 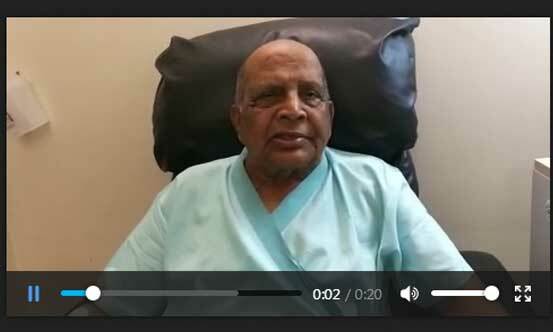 His contribution in the field of Cardiology has been recognized not just in India but Worldwide. In his extensive span of 30 years, he has pioneered numerous angioplasty techniques. He has performed one of the highest number of angiographies and angioplasties which has been mentioned in the 'LIMCA Book of Records'. 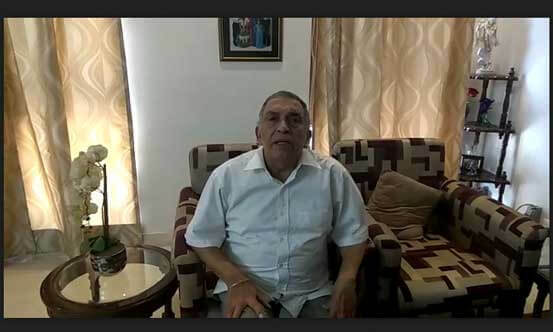 He has been honored with the prestigious 'Padma Bhushan", "Padma Shree", the National Award of Republic of Spain, "Officer's Cross Order of Isabella the Catholic" in 2010, 'Mason Sones Award' from SCAI (USA) in 2010 and numerous other awards. He has been affiliated with numerous prestigious institutions all around the world over a period of 30 years. His list of achievements is as wide as his experience. 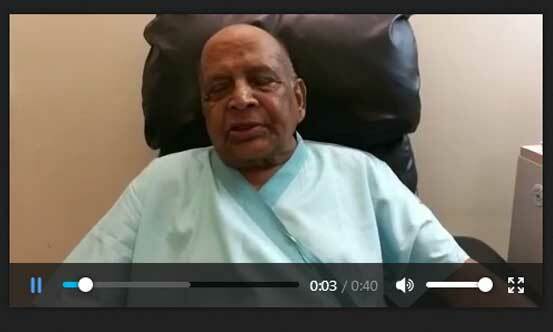 He has been honoured by Doctorate from four prestigious universities in India. He has more than 250 publications to his credit in prestigious Indian and International medical journals. 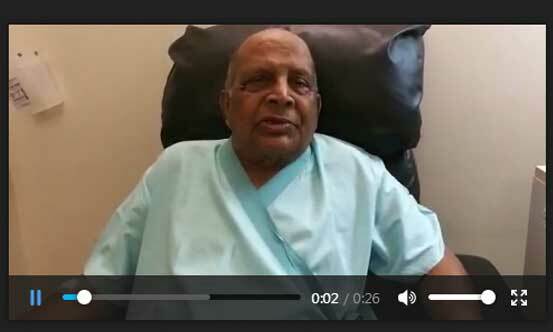 He has also trained more than 350 cardiologists from India and across the world in advanced techniques of angioplasty. 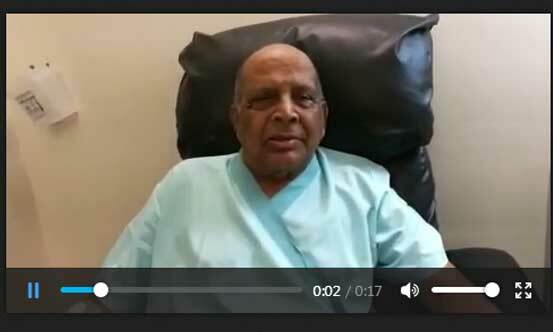 Dr. Vijay Kumar is a senior Cardiologist with an experience of over 19 years. His educational qualifications includes MD and DNB cardiology. 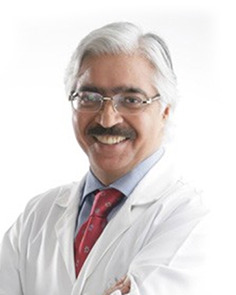 He has been affiliated with prestigious medical institutions and organizations like Delhi medical council, Cardiology Society of India and FSCAI , USA to name a few. He's an active member Chest pain pathway and Primary Angioplasty programme at FEHI. 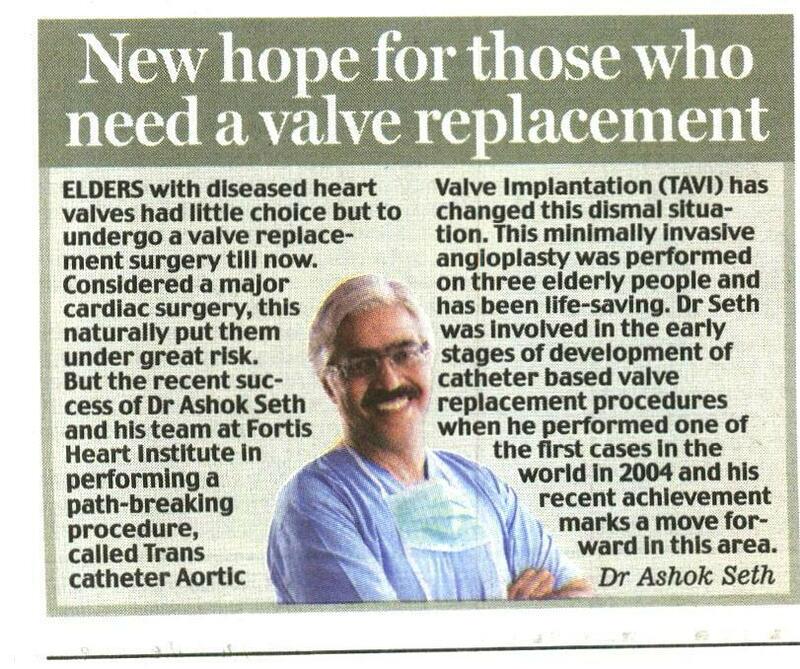 He's also a member of "The Heart team" for Transcatheter Aortic Valve Replacement Programme at FEHI. Dr. Kumar Specializes in Intervention Cardiology, Incharge, Chest pain pathway and Angioplasty programme. He has got a numerous publications to his name as the key investigator and co investigator. He has been honored by various appreciations in the field of Cardiology at Local, State and National level. How did valve implantation happened? 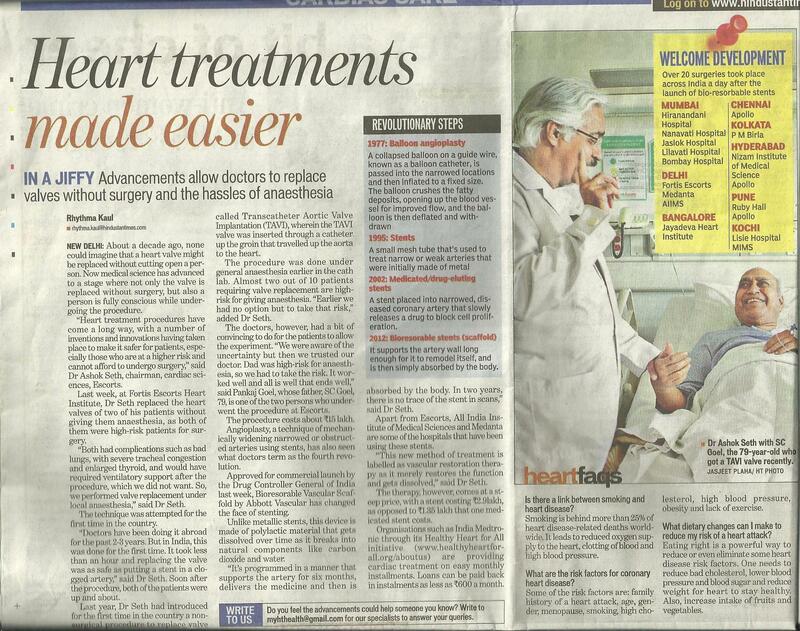 WHY CHOOSE FORTIS ESCORTS HEART INSTITUTE FOR TAVR? 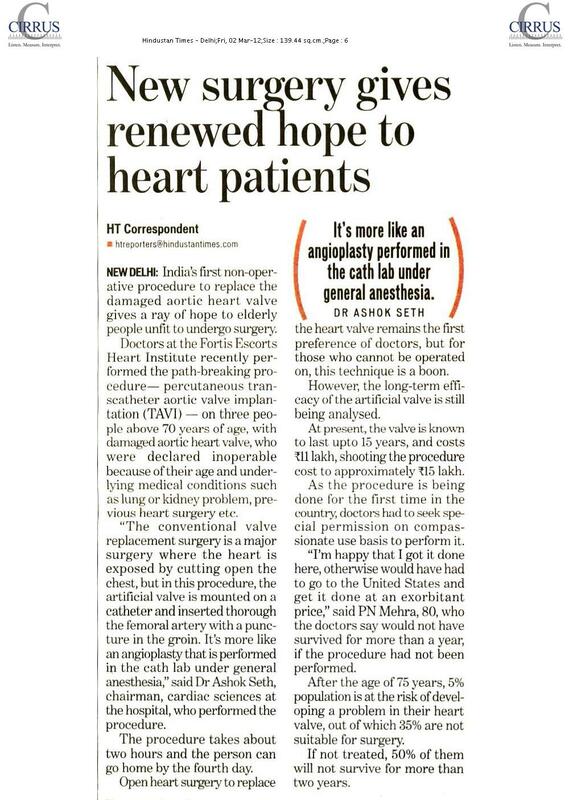 Fortis Escorts Heart Institute is the first hospital in India to launch the TAVR programme in 2012 and has the maximum experience of this new technique of valve replacement with an extremely high success rate. A dedicated heart team (consisting of Interventional Cardiologist, Cardiac Surgeon, Non-Invasive Cardiologist, Cardiac Radiologists and the Cardiac Anaesthesiologist) evaluates every patient and jointly performs the procedure. For 25 years, the institute has been a gold standard for clinical excellence and expertise; and continues to be the leader in Cardio-Vascular Sciences. Renowned Cardiologists, Cardiac Surgeons and Clinical Cardiologists come together to provide world-class treatment. The institute has been repeatedly awarded as the best cardiac care provider in the country by various social and public bodies. Teamwork: Cardiologists, (Interventional Cardiologists, Echocardiography and Imaging Specialists), work with Cardiac Surgeons, Radiologists, Anaesthesiologists, Nurses and Technicians to provide the best cardiac care. Experience: With a legacy of 28 years, our Cardiologists have received specialised training and have extensive expertise in performing various complex heart procedures under the leadership of Dr. Ashok Seth. 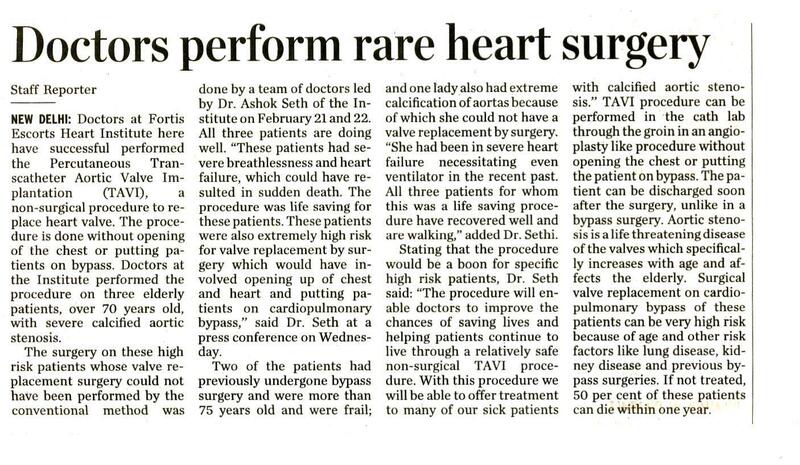 FEHI again stands as the first hospital in India to have successfully performed the TAVR procedure. Latest Technology: FEHI doctors have the latest Imaging Technology available to help them in planning and performing the TAVR procedure. Accurate planning before the procedure helps in reducing the risk of complications. VAST INSTITUTIONAL EXPERIENCE. HIGHEST STANDARDS OF PATIENT CARE. 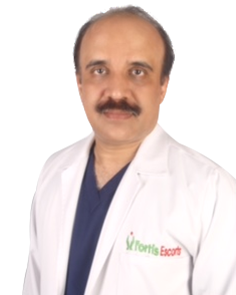 Over the past 28 years, Fortis Escorts Heart Institute has conducted more than 1,85,000 Angiographies, 59,000 Angioplasties and 1,00,000 Cardiac Surgeries, one of the highest numbers in the world. 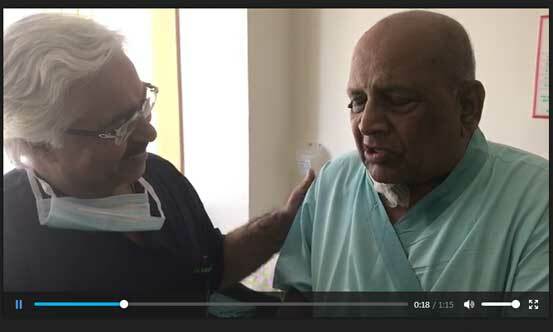 Heart surgery being considered risky and troublesome for recovery post operation, my father is subjected to least possible discomfort, thanks to TAVR and of course Dr. Seth and team.We were extremely surprised to see our father talking to us while being shifted to recovery post TAVR procedure. 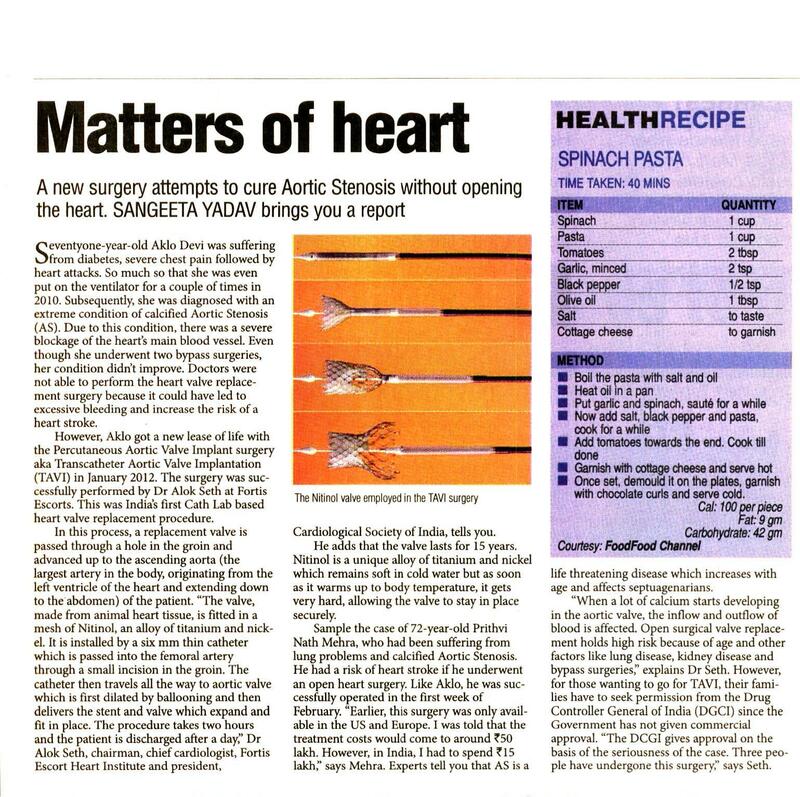 He is regarded as one of the best interventional cardiologist in India, (esp. for TAVR) and my research was validated when other consultants too recommended Dr. Seth for TAVR. 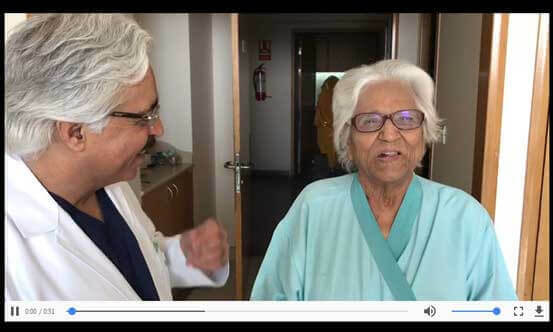 We reside in Mumbai and came down to Fortis Escorts Heart Institute (FEHI), to get the TAVR procedure done on my mother only from the able hands of Dr. Ashok Seth. 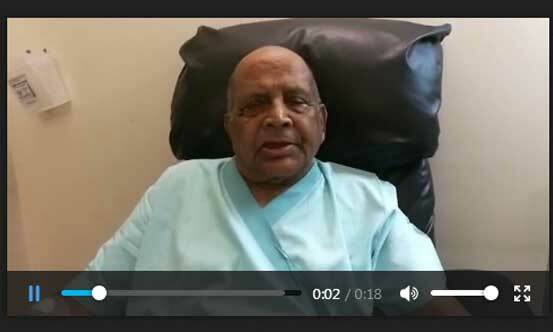 My father, Sri Om Prakash Goenka had undergone CABG + AVR in 2009. However, in beginning September, 2017 we came to know that the replaced aortic valve had de-generated and required replacement. As such, there were 2 options-First to undergo open-heart surgery and another TAVR. Very good feeling and experience with TAVR done by competent Dr ashok seth and Dr vijay kumar. My advice to other patient who are suffering from severe, should not afraid with the procedure of TAVR,In life money is not everything. Procedure TAVR done by hon.Dr ashok seth, Dr vijay kumar and his team which is successful and we are really satisfied and thankful for each and everyone. Mr nitish helped us in cooperating from beginning. I am writing on my own behalf and on the behalf of my family, my parents especially. You recently performed a TAVR procedure on my mother Mrs. Rose Mueni Ngao. We are very grateful that you did such a wonderful job. May God continue to guide and give you wisdom and integrity as you continue transforming the lives of people. Old degenerated valves getting changed without a redo open heart surgery ! 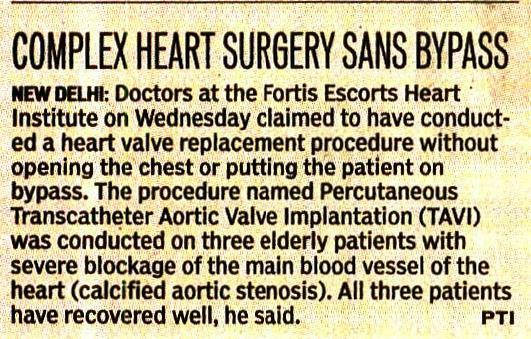 79 years frail gentleman from Bengaluru who had his first heart valve replaced with open heart surgery in the year 2002, suffered from shortness of breath due to the degeneration of the old tissue valve over several years. He had symptoms of heart failure to the extent that he would not be able to complete his breakfast due to shortness of breath. 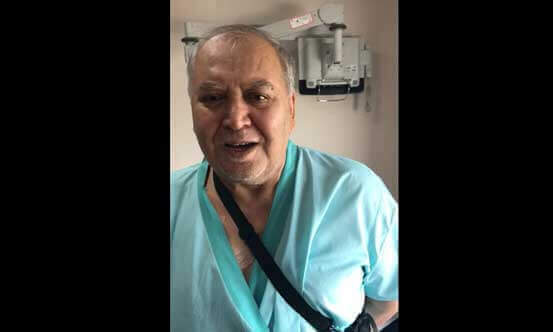 Thanks to the new technique of replacing the valve non surgically by another new valve through the procedure called Valve in valve(ViV)-TAVR .The new valve was inserted successfully inside the degenerated old valve and the patient was fit and fine. 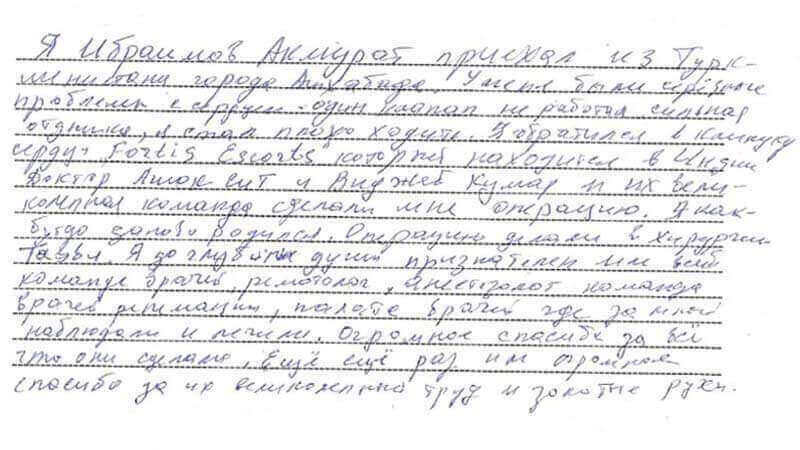 He went back home happy without any symptoms and shared his experience with us. Thanks to the new technology of ViV ( Valve in Valve) TAVR. 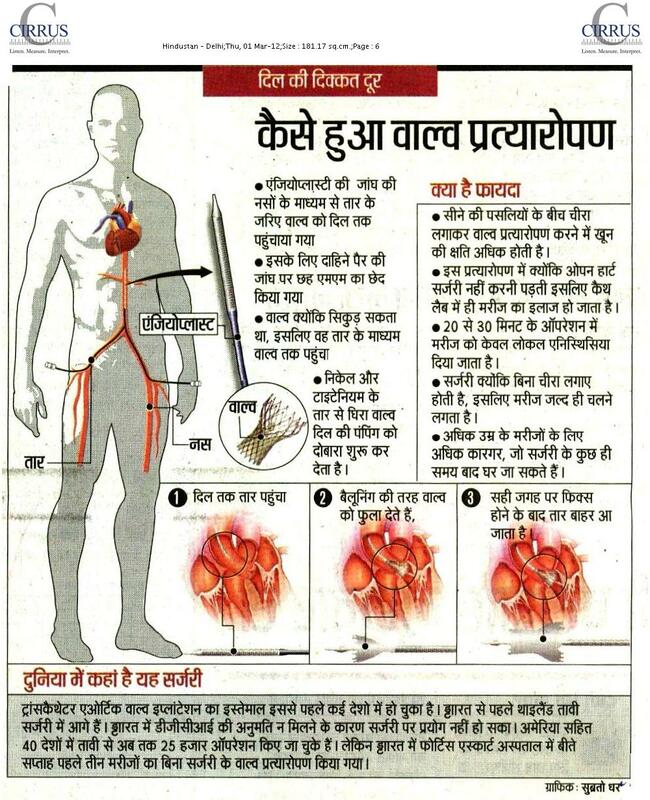 Excellent procedure for T.A.V.R performed by Dr. Ashok Seth and his entire team of doctors. Recovery is faster. Thanks to Dr. Vijay Kumar as well for guiding me for the procedure. The level of personal service and attention given to me by Dr. Nitesh since the time of admission till the completion of the procedure was excellent.